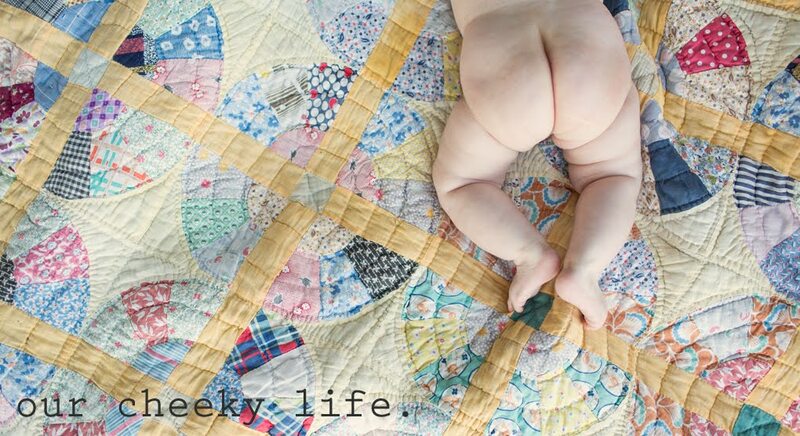 Our Cheeky Life: this time around. 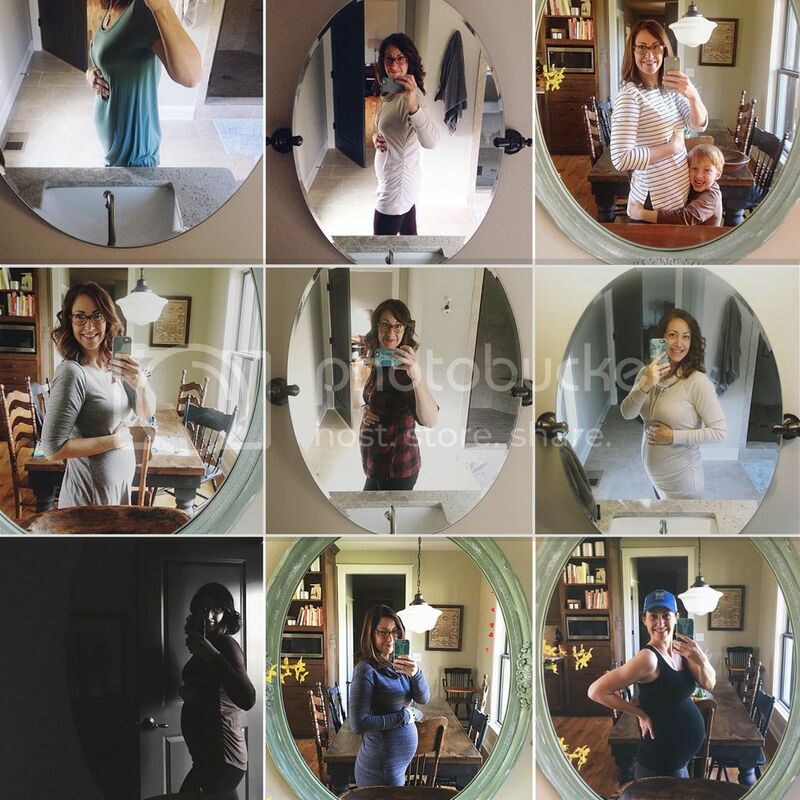 When I was pregnant with Henry it seemed I was blogging weekly about our pregnancy. Probably more than anyone wanted to read and definitely more than I have written this time around. It's not that this pregnancy is any less significant- quite the contrary. Life with Henry just keeps things hopping and it's not as often that I find myself with the chance to sit down and document our life as much as I'd like these days. But I do want to take just a few minutes now, as I sit here in this sweet nursery and wait for tonight's dinner to finish simmering on the stove, to write down some things about this amazingly special time in my life, so that in the months and years to come I can look back and remember with just a bit more detail than I would otherwise. In two days I will be 38 weeks pregnant. It seems ridiculous that this pregnancy has flown by so quickly when it seemed to take an eternity to get here. Only 16 days until our baby girl's due date. Although a very tardy Henry Zuill taught me all too well not to put much stock in appointed arrival dates. As for now, I'm quite happy to continue carrying this sweet little body ever so closely- feeling her squirm and hiccup and feeling her push her little limbs against a palm on my belly. I wonder every day what she will look like. Will she have red hair like her brother? Or will I get one that looks like me this time- brown hair with eyes to match? She will be the most beautiful thing I've ever seen, either way. This pregnancy has been, so far, as kind to me as my last go round. I've gained about 23-24# (in spite of ridiculous amounts of ice cream consumption) and have managed to stay very active- even hanging in there with the Jillian workouts (modified of course). I've done lots of prenatal barre & pilates and am still walking up to 4 miles at a time. I'm anxious to see how maintaining an exercise routine will affect delivery for me, as I didn't exercise at all when I was pregnant with Henry. Come on core strength- I'm counting on you to help me out with a much quicker labor this time! I haven't really noticed any food aversions or cravings. With Henry I was SO turned off by the thought of tomatoes- one of my favorite things on earth. This time it's just that everything sounds good. You name it, I'll eat it (and probably have). And with Mr. Zuill's tendency to keep the house stocked with British goodies this is dangerous territory. I'm sleeping well, for the most part, and relishing every moment of undisturbed sleep. Ha. I know that it is a luxury that will soon be nothing but a memory. I do admit that I often wonder if we're just a tiny bit crazy to be doing this at 38 & 42 (I'm the 38, by the way, ha). I wonder if, by the time we have grandchildren, we'll be so old we won't even be able to remember their names, let alone enjoy them. But you know what? I just try not to care about that. I've learned that you can't live life on the "what if's". Because life most often doesn't pan out the way you thought anyway. And the joy & love & happiness this baby will bring to our family, no matter how late in life we are, will be immeasurable. And we won't be able to remember how we made it without her. So I am so thankful. Thankful for this big belly, thankful for my daily heartburn and tums habits. Thankful that Henry will be a big brother. I'm thankful that my 38 year old body has been so graciously accommodating of this pregnancy and is growing another amazing little human for us to love and wonder at. What a wonderful season in our lives.